President Buhari says Nigeria survived its past abuses by past administrations only by the grace of God. President Buhari said this in a statement issued by his Special Adviser on Media and Publicity, Femi Adesina. “Some of the things I saw here were unbelievable. I still shudder and wonder how a country can survive under such abuses. It is only by an act of God that we survived,” he said. 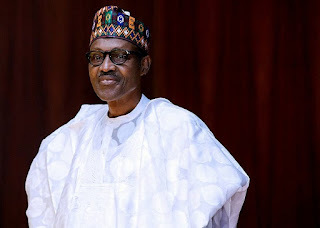 According to the statement, President Buhari made the comments when he received his supporters under the auspices of the Governance Support Group at the Presidential Villa in Abuja, the nation’s capital. He thanked the group for their love and support for his administration, even in the face of the challenges some of them went through. According to him, after losing in three elections and pursuing cases up to the Supreme Court, he learnt that ethnicity and religion had no place in Nigerian politics, but personal interests prevailed.